Promised to one sister. Bewitched by the other. What if Mr. Thomas Bennet's first-born daughter is promised to the elder Mr. Darcy's first-born son? Are promises made always promises kept? Or is a love like Fitzwilliam Darcy and Miss Elizabeth Bennet's destined to prevail? The mysterious Mister Darcy, a modern day Knight Templar, follows his beloved Lizzie down the wrong rabbit hole, only to discover one of history’s spookiest antiquities. Can a simple picnic lead the Darcy family to the brink of disaster? This is not in anyway related to Alice in Wonderland. It is, however, the last book in the nine-book Mister Darcy series of comedic mysteries. This is a light-hearted, feel-good listen with tons of quirky adventure. "Stop!" Darcy called dashing ahead of Lizzie to catch their toddlers, but it was too late. Before he could reach the boys, little Annie had followed them under the ground. Three children and one rather handsome husband all suddenly vanished. Lizzie did the only thing she could think of and threw herself into a full-body slide down the dark, mossy rabbit hole. This is the ninth book in the popular Mister Darcy series of comedic mysteries. Don’t let the title tumble you down the wrong rabbit hole - this has nothing to do with Alice! Based on the enduring characters created by Jane Austen, this is a contemporary spin on a classic tale of love denied, love discovered, and love growing as time goes by. Can be enjoyed as a standalone, but it helps to follow the series from book one. 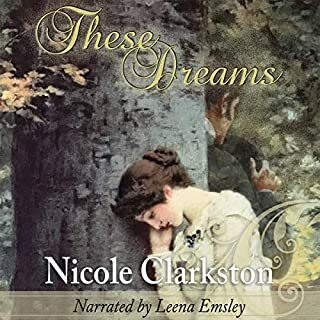 This was another fun listen about Mister Darcy and Lizzie. I enjoyed this ending to the series and thought that many storylines were ended properly. I am sad that there will be no more new stories for this duo. Would you try another book from Barbara Silkstone and/or Jannie Meisberger? I don't think I would try another one from the author although I do think that the narrator did a great job. Has Darcy Down the Rabbit Hole: A Knights Templar Adventure turned you off from other books in this genre? I have tried other spin offs of Pride and Prejudice and liked many of them, but this one was not a fit for me. I felt it was by character name only and beyond that strayed enormously from the story and characters. I also felt this book was rather repetitive throughout the story and didn't care for the germaphobe that she made Elizabeth out to be. Fantastic story telling by one of my favourite narrators in this genre, really enjoyable story. Amazing artifact discovered in a rabbit hole! 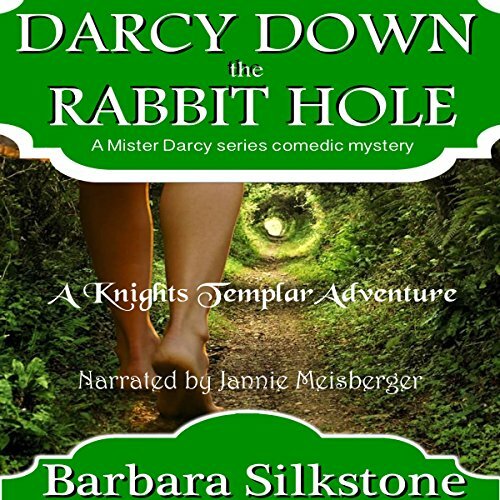 What did you love best about Darcy Down the Rabbit Hole: A Knights Templar Adventure? I loved the fast-paced, well-written, very original mystery!!!! Characters are extremely well-developed and the story will have you laughing out loud, at times. I love the humor, and the engaging plot....very unique! My favorite scene was when little Will kept asking to see the "ugly." Darcy was forced to choose between Elizabeth and the Templars...and his choice was heartfelt and beautiful! Great book!!! I highly recommend it!!! After a tumble down a rabbit hole, an object is discovered. Is it a relic of the Knights Templar, or an antiquity of British History? I enjoyed following along as the mystery is unraveled. This was definitely not what I expected from this series. Somehow a modern day Darcy just doesn't fit my idea of a Pride and Prejudice inspired series. Even the idea of a germaphobic Elizabeth seems somehow wrong. The other characters don't have very much in common with their original counterparts either. All in all I could not connect this book to the Jane Austen's Masterpiece. That said, if you don't try to associate the story to the original book, it is a valid narrative and well performed. I did not read or listen to the other books in this series, but I was still able to follow the storyline very easily. 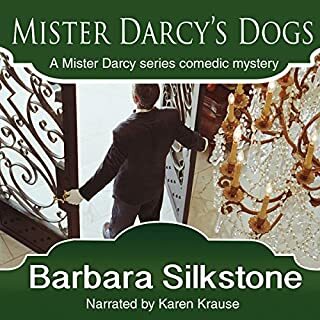 This apparently is the last chapter of A Mister Darcy Series Comedic Mystery, so if you wish to get really into it you should probably start from the beginning and not the end as I did. Just don't be misled into thinking that you'll be revisiting the original characters. Just enjoy the books as a modern day funny mystery series. 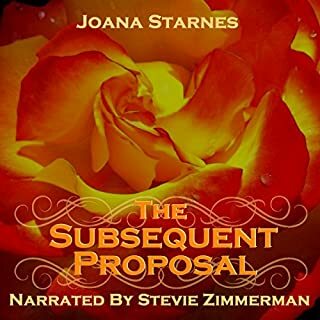 I requested this audio book in response to the author's offer. For some reason, I wasn't aware that this was the final book (Book 9) in the series, and that's entirely my fault. While it took me a while to get up to speed, most of the information I needed to understand the story was provided in short order. Darcy, it seems, is a member of the contemporary version of the Knights Templar. His responsibility for them is to find artifacts of the Templar history. He also seeks out artifacts that are not Templar, but that relate to the history of London and, I presume, England. When Darcy, his wife, Elizabeth, and their young son go out for a walk, they, like Alice in Wonderland, fall into a rabbit hole. Thus the title. In that rabbit hole, they find something that could be a Templar treasure, an English historical gem, or just something nasty -- or ugly, as their son Will names it. As Darcy and Elizabeth attempt to learn the significance of their find, Darcy's sister returns home from school in New York. Added to their concern over the item they found in the rabbit hole, the Darcys now must concern themselves with Georgiana's suitors: two when she left England, apparently three upon her return. Who is the mystery man that the Darcys spy with their sister in the park? This is a light, fun listen that draws on the characters of Jane Austen's Pride and Prejudice, but travels in quite a different direction. There's a healthy dose of humor and a slight touch of romance mixed in with the mysteries. The story is told from Elizabeth's point of view, and while I came to like her, at first she struck me as annoying. I also thought that the charters, save young Will, were a bit two dimensional. If I had one real peeve about this audio book, it was the speed of the performance. While the narration itself was well done, it was rendered so slowly that I thought I'd climb the walls. I eventually sped it up a bit, but that caused some distortion in the recording playback. 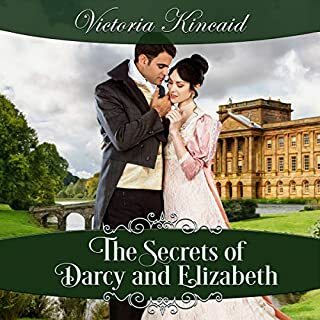 I enjoyed listening to this audio book, and I found myself chuckling frequently, sometimes even laughing heartily at the antics of the Darcy family and the other characters. I think I need to go back and start this series from the beginning, although, probably in print, not audio. I received a copy of this audio book for free from the author. Her generosity had no influence on the opinions expressed in this review. The rabbit hole alluded to is both literal and the sort of situation most of us have been caught up in. The characters named for those in Pride and Prejudice are also much more fun. There's ALWAYS a boatload of fun and mischief to be found in La Silkstone books, and this is no exception. The publisher's blurb gives clues and other reviews give summations, so I'll just alert other readers to the fun of the book and suggest that it be read on a grumpy day to reverse the grumpy mood. This author's books are great for listening to while exercising or doing odious tasks, and Jannie Meisberger has the perfect delivery for the audio interpretation. "I was given this free review copy audiobook at my request, via Audiobook Boom, and have voluntarily left this review." I loved the modern take on the Darcy story. It was a surprise and interesting. Glad that in this one Caroline showed some compassion.Loved the ending and Georgiana's plans.The narrator was again outstanding. Darcy Down the Rabbit Hole. I have not read/listened to the other books in this series, so I did not feel I was missing anything since we are told repetitively what happened. The book was interesting but I found somethings where repeated a lot and this slowed the book down. I loved the narrator, I thought she did a great job at voicing the characters. Well what a delightful listen. Although this is the 9th book in the Knights Templar Adventures of Mister Darcy. I truly enjoyed this short adventure and especially the voice of Jannie Meisberger, as it perfectly complements the characters and setting of the book. 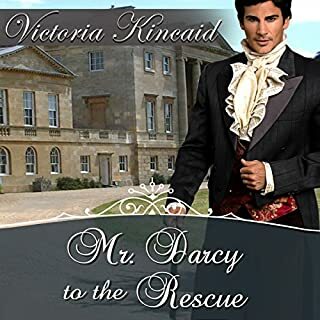 I was whisked away into the the eloquent and very British world of Mister Darcy, his family, including the dogs and his world as one of The Knights Templar. The book does contains mild swear words, so it is not suitable for young children. The overall storyline is good but not superb. It can be read as an individual book / adventure but I believe it would have been better if it had been read in the actual series order of the books, however, it is definitely worth listening to and it certainly has whetted my appetite to read or listen to the other books in this series. 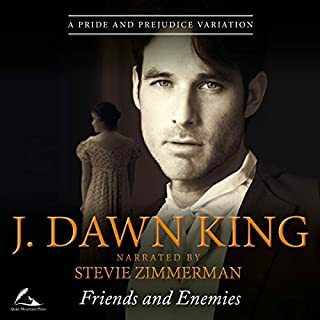 The review I have given is voluntary and solely my opinion of this audiobook, which is completely independent and unbiased.